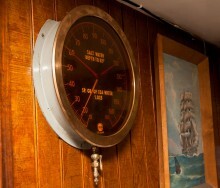 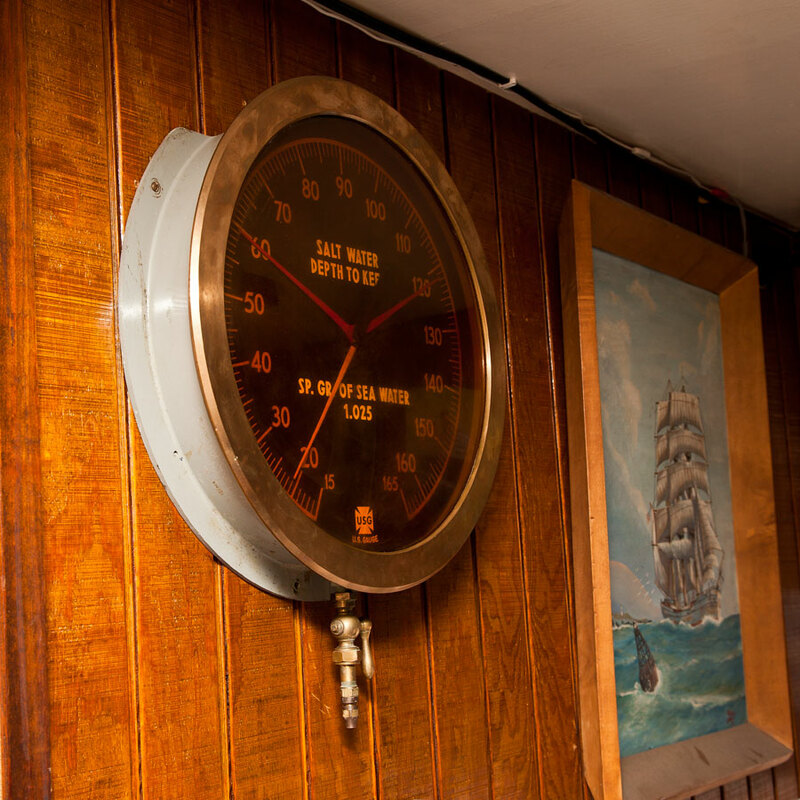 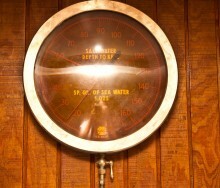 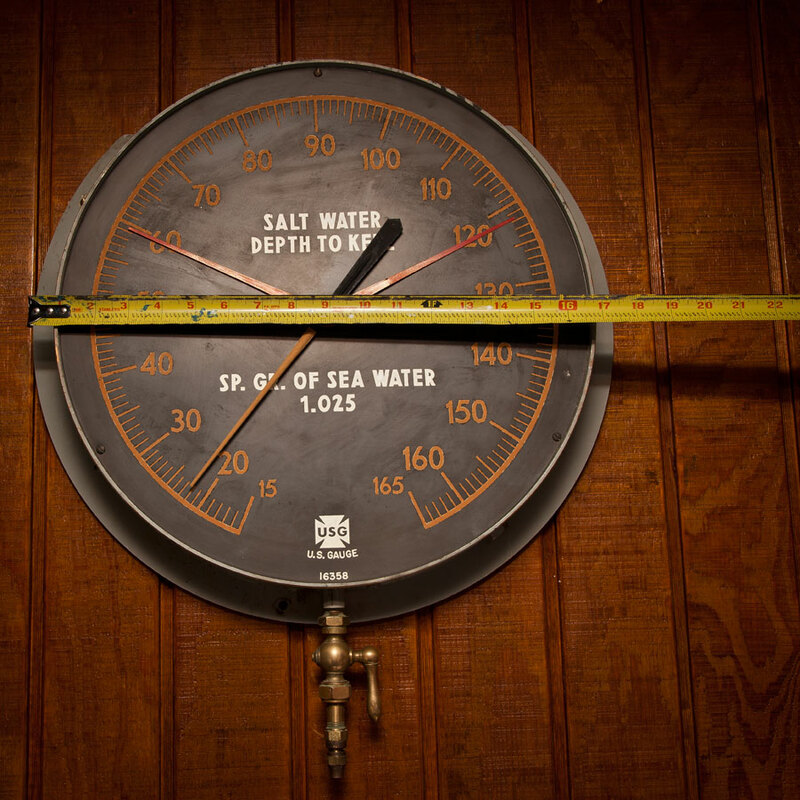 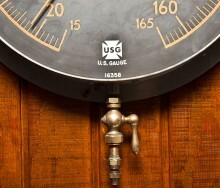 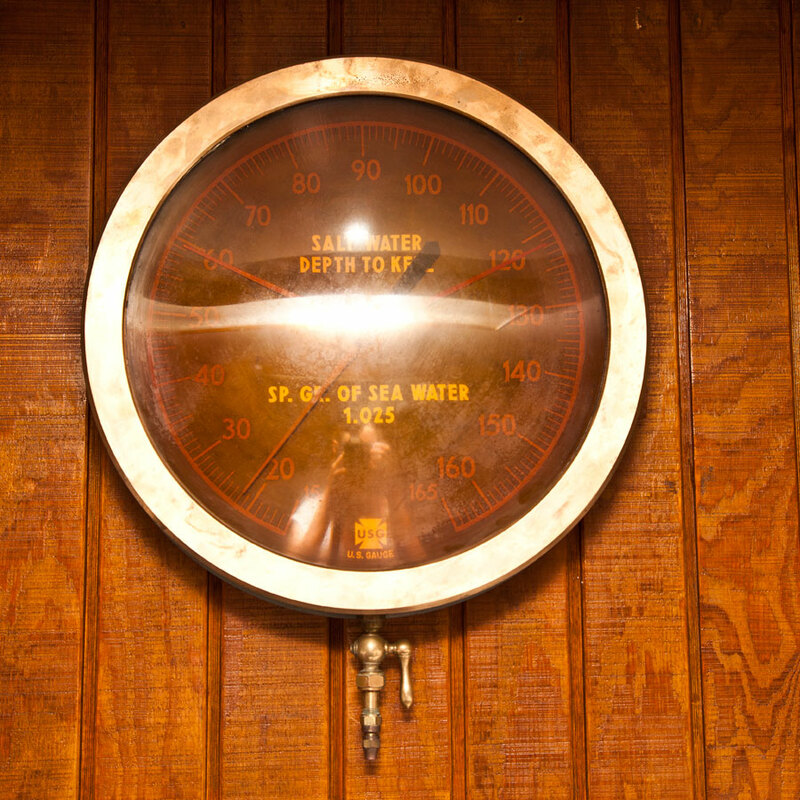 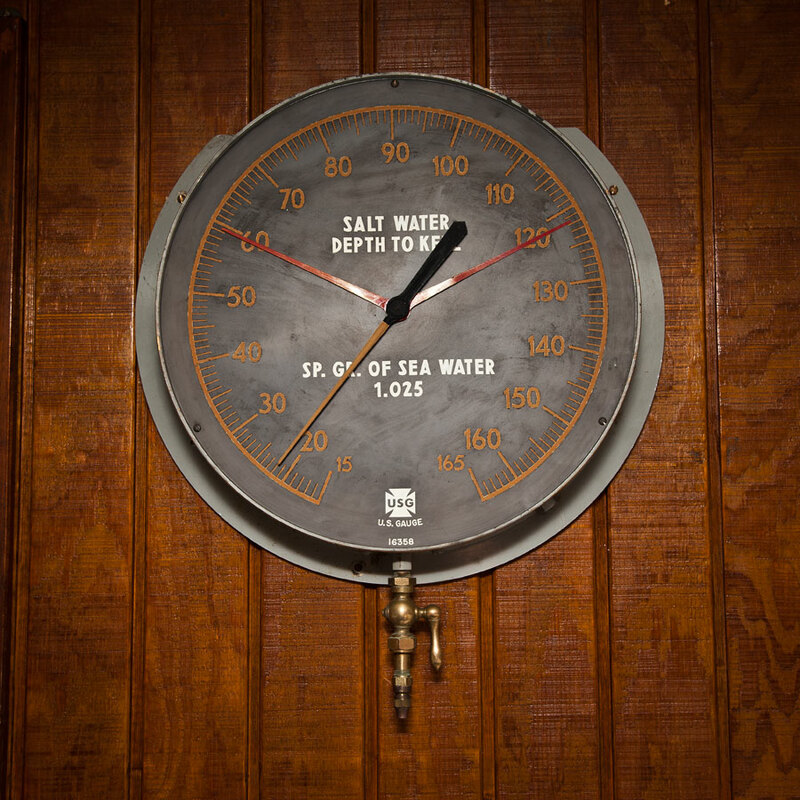 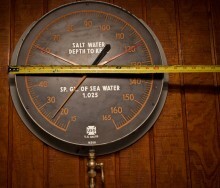 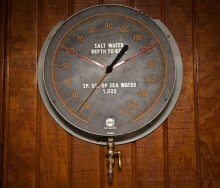 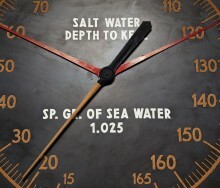 This is an authentic WWII diesel submarine depth gauge. 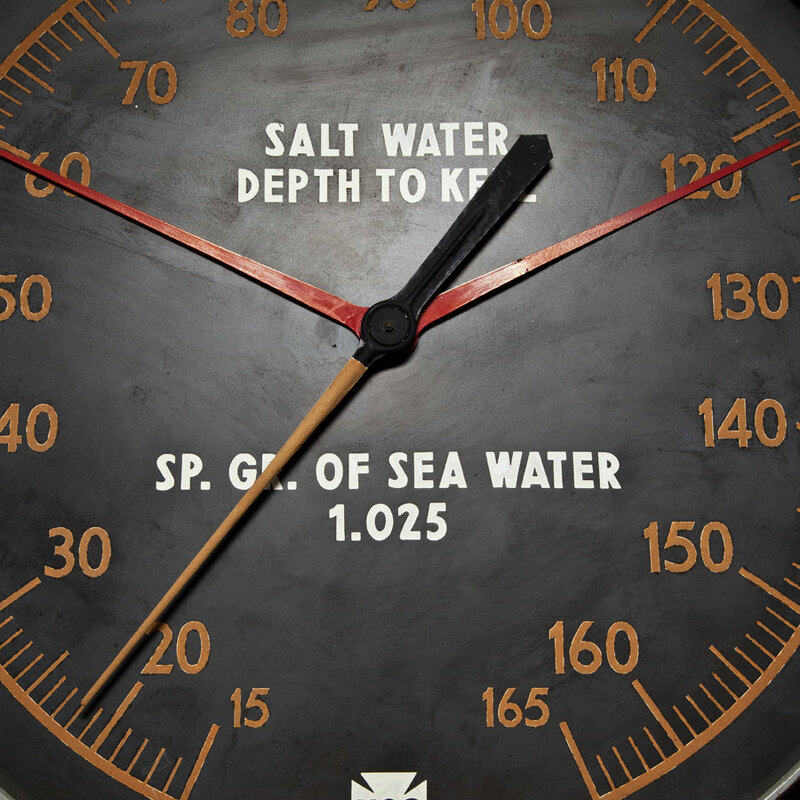 This was a crucial instrument for submarines during wartime, as it accurately tracked its descent into the unknown. 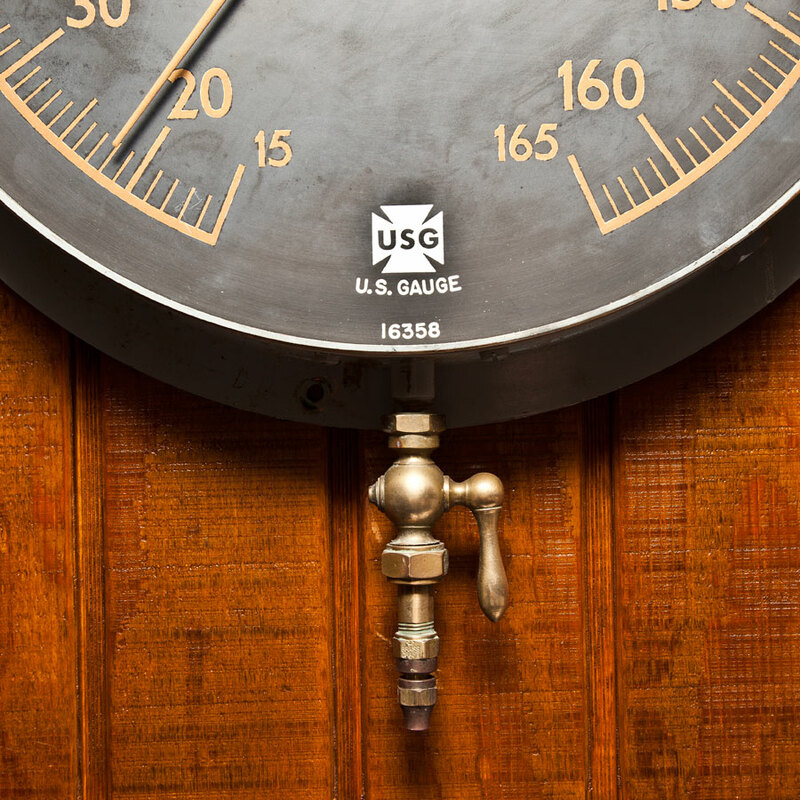 This rare collector’s piece measures 18 inches in diameter and is made from solid brass… A museum quality treasure fit for the true collector.